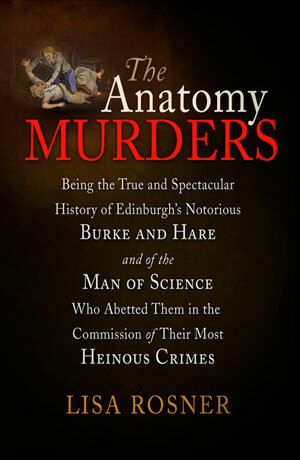 The anatomy murders were serial killings carried out by William Burke and William Hare, two Irishmen resident in Edinburgh, Scotland. They murdered 16 people in the course of a 12-month period, from November 1827 to November 1828, in order to sell the cadavers to an anatomy lecturer, Dr. Robert Knox. In any murder case, we need to look for motive, opportunity, and means. The motive for the anatomy murders was gain. There were hundreds of medical students each year who needed to dissect human cadavers to learn anatomy and to gain certification of their skills, but the only type of cadaver that was available legally were convicted, executed murderers, and there simply were not enough murderers in Scotland to keep up with the medical school demand. Burke and Hare earned between Â£7 and Â£10 per cadaver, equivalent to perhaps $400 in today’s money. That was more than they could have earned in six months at their legitimate jobs. The opportunity came from the fact that Edinburgh was an industrializing city with a large transient population, and Hare’s wife, Margaret, kept a boarding house in the Irish immigrant district known as the West Port. The means was a form of suffocation, which came to be known as “burking,” after its most famous practitioner. It involved compressing the chest to prevent the victim from expanding the diaphragm, and covering the nose and mouth. This is actually a very hard thing to do, because people will not generally lie there and let someone compress their chest. So Burke and Hare would get their victims very drunk first, so that they were insensible. They were predators, and Burke, especially, was very charming and played on Edinburgh patterns of sociability to induce victims to his house to drink, and then keep drinking. They were caught when a lodger found the last cadaver hidden under a bed and reported them to the police. 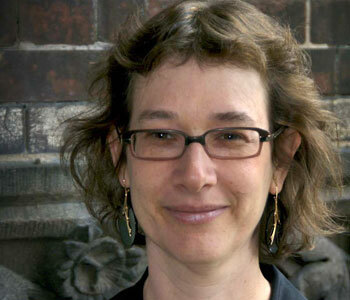 The resulting investigation and trial was a media sensation, and led to widespread public outcry. Hare and his wife turned prosecution witnesses against Burke and the woman he lived with, Helen M’Dougal. Burke was convicted and executed, the charges against M’Dougal were found not proven (a Scots verdict that counts as an acquittal), and Hare and his wife got off scot-free. In The Anatomy Murders, I take readers through that fateful year, cadaver by cadaver, while explaining the historical circumstances that went into producing the crime.